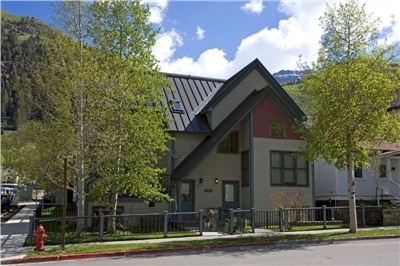 This cozy 3 bedroom and 2 bathroom condo is located a quick 1 block walk to the gondola and main street making it extremely convenient for festivals, skiing, shopping and dining. 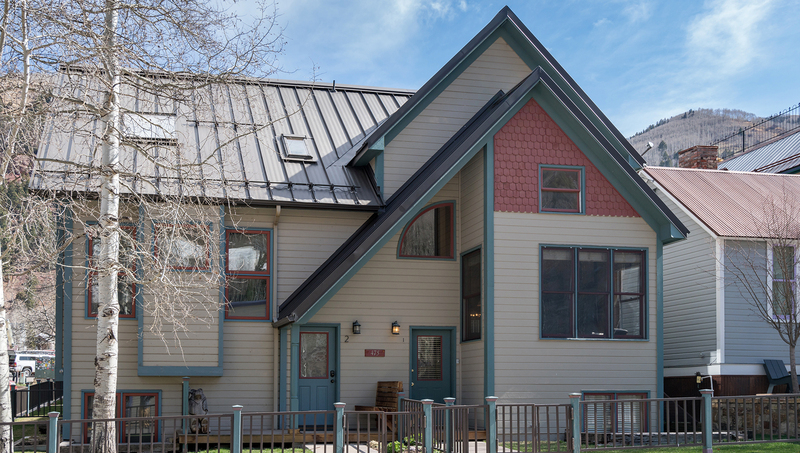 Amenities include a gas fireplace, covered parking, and a washer and dryer. 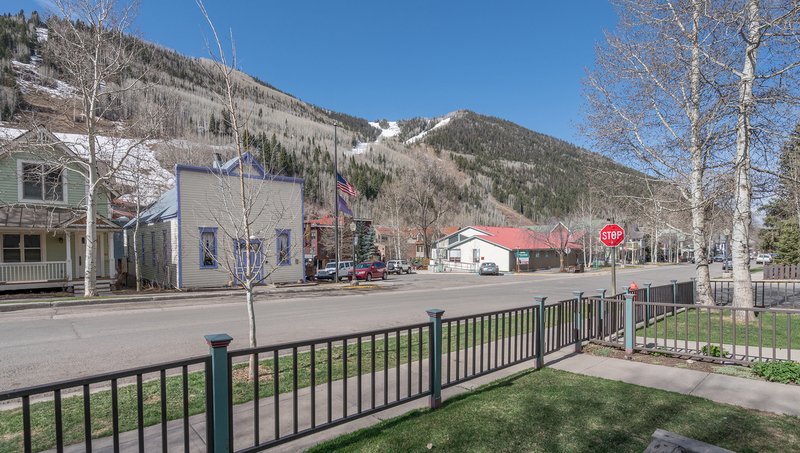 This inviting 3 bedroom and 2 bathroom condo is located in the heart of the historic district in Telluride - a quick 2 block walk to the gondola and main street making it convenient for skiing as well as shopping and dining. 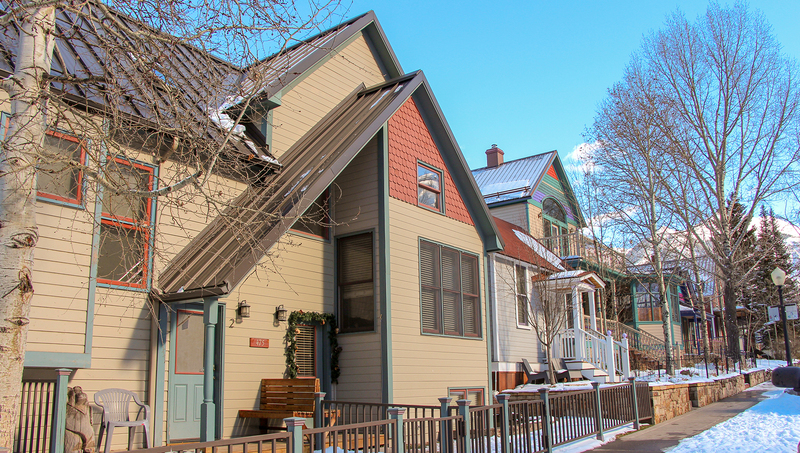 With its split level layout, it has the feeling of a townhome. Bedding: King bed, queen bed, 2 extra-long twin beds. Walk up to the building at the NE corner of W. Pacific Street/S. Townsend Avenue - enter the metal gate facing W. Pacific Street marked unit 1. 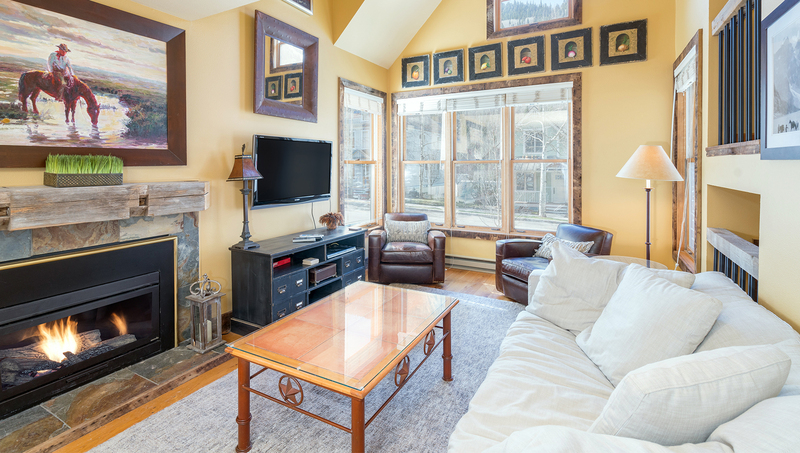 Upa half a flight of stairs is the cozy living room with a Restoration Hardware Cloud sofa, high ceilings, gas fireplace, flat screen TV/DVD and windows facing W. Pacific Street and ski runs. Attached to the open layout on this level is a dining area for 6 guests and updated kitchen. 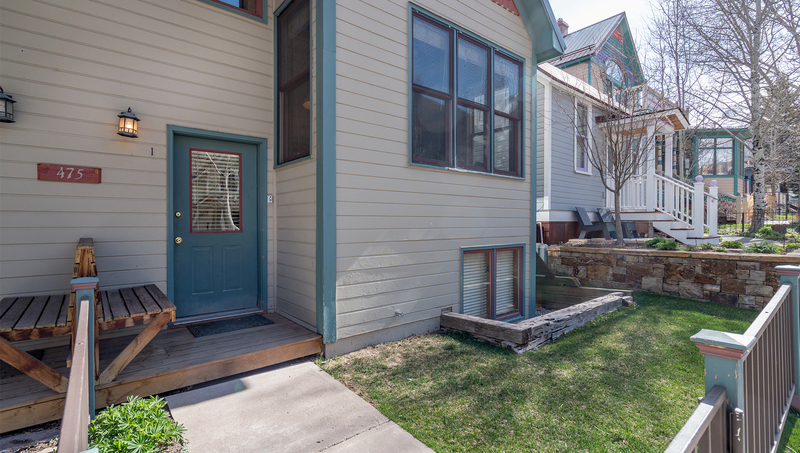 There is also access to a small furnished deck, complete with a natural gas Weber BBQ grill. From here there is also a walkway to the carport. 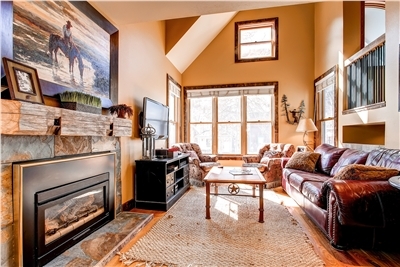 Up another level is the master bedroom with vaulted ceilings and a king bed and flat screen TV. There is an en suite bathroom with a shower/tub combo. This bedroom has a door but has a semi-open wall to the living room area downstairs. There is a closet with stackable washer/dryer in the hallway. At the bottom level of the condo are 2 bedrooms; one with a queen bed and the other with 2 extra-long twin beds. Both bedrooms share a newly renovated bathroom (2018) with a steam shower located in the hallway. There is covered parking for small to mid-vehicles in the back of the building.